The illustrated Magnum Knife Set is the Boker Magnum Profi I Throwing Knife Set that includes three throwing knives made of 420 stainless steel steel. Each Profi I Throwing Knife features a 6" double edge spear point blade area and a drilled handle area with black finish. A genuine leather three compartment sheath is included with this Magnum knife set. 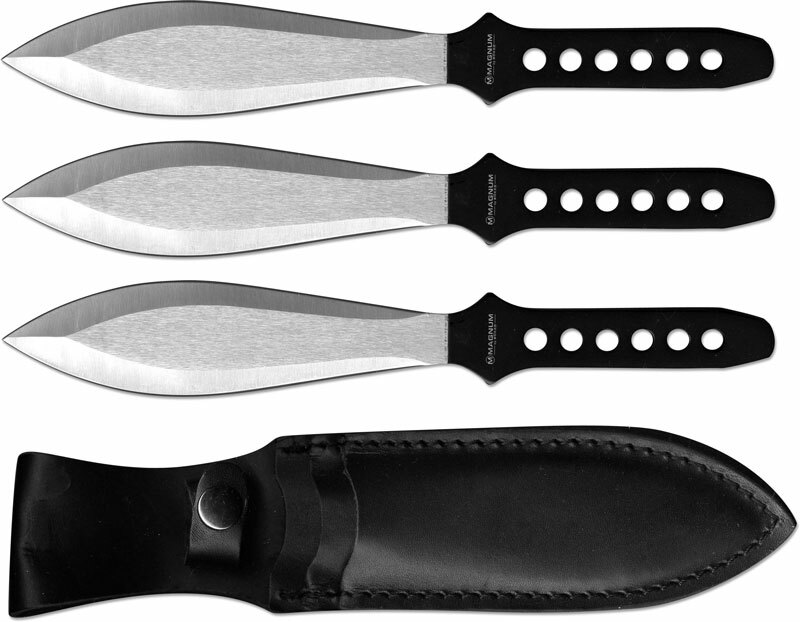 Each thrower in the Boker Profi I Throwing Knife Set has an overall length of 10 1/4", and weighs 7 ounces. Imported from China.